​Claude Puel has defended the decision to allow Leicester striker Jamie Vardy to take a penalty against Spurs, despite it being the Englishman's first touch of the game. With Spurs 1-0 ahead in the game, the Foxes were controversially awarded a penalty just before the hour mark - with Vardy already stripped and ready to come on as a substitute. Puel then made the decision to send him on and shoulder the responsibility of taking the spot kick. 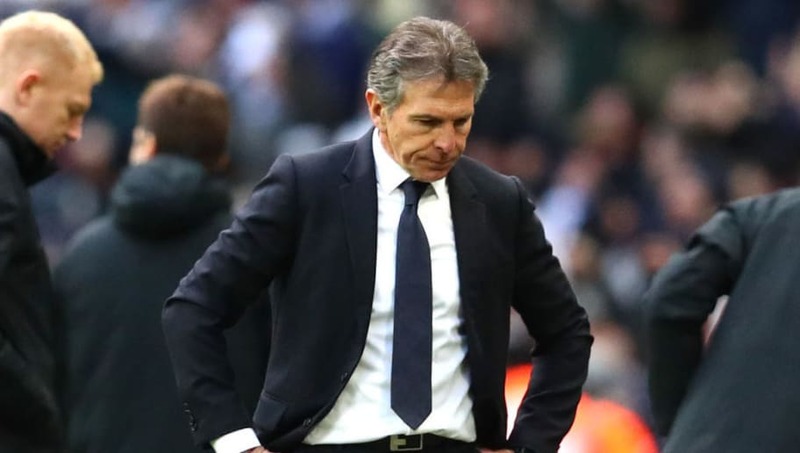 The decision would come back to haunt Puel though as Vardy's penalty was palmed around the post by Spurs goalkeeper Hugo Lloris, though the Frenchman was adamant after the game that the decision was not the sole reason that his side lost. "Normally it’s Jamie to take the penalty. I gave him the opportunity to shoot this penalty. I said to him he can take it," Puel said, as quoted by The Mirror. Many Leicester supporters were puzzled by Puel's decision to leave Vardy out of the starting XI on Sunday, but he once again defended his decision and revealed that he wanted to give other players the chance to prove themselves. The Foxes now lie 12th in the Premier League table, six points behind Wolves in 7th. They will look to get their season back on track next weekend when they take on Crystal Palace at the King Power Stadium.